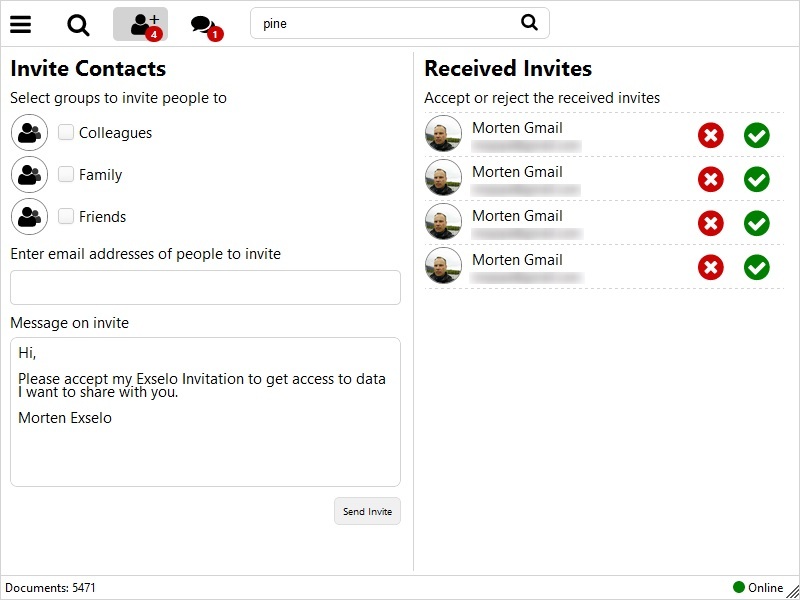 A tool that allows users to search, collaborate and share data in real time using encrypted peer-to-peer technology. 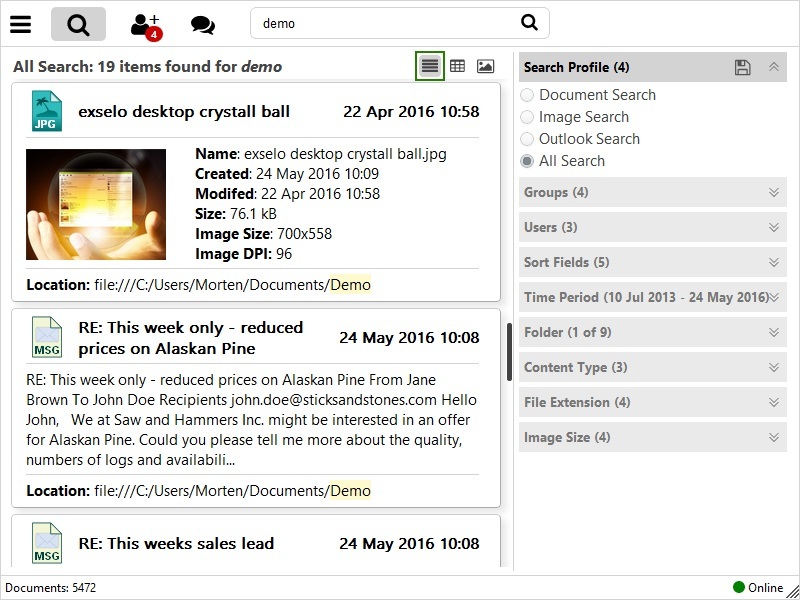 Effectively search and find the information you want from files and emails on your computer, cloud stores and network. 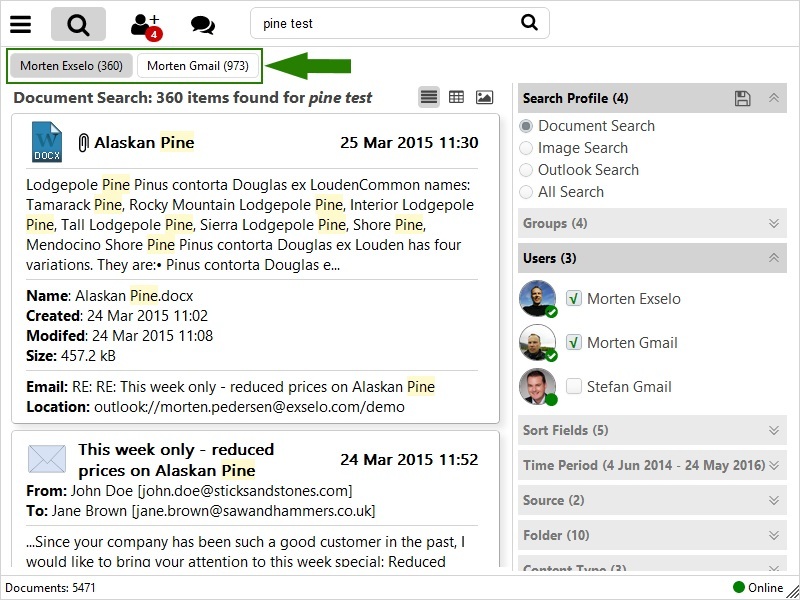 Quickly share your information with friends and colleagues, and securely communicate with them. 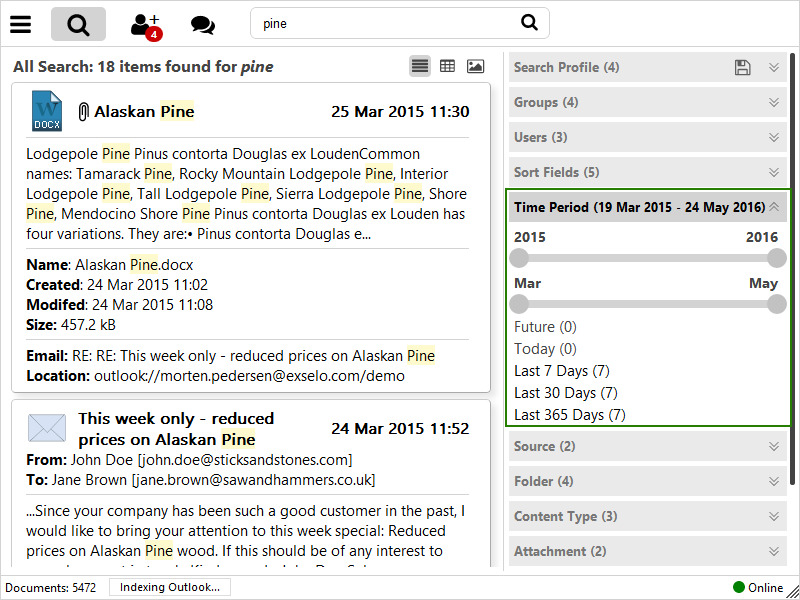 Search, collaboration and sharing for everyone. 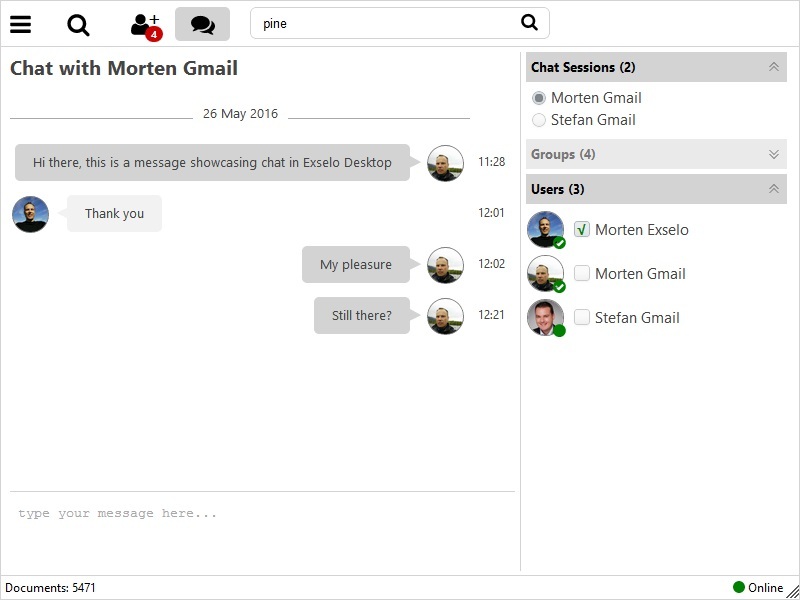 Functionality and priority support for advanced users. 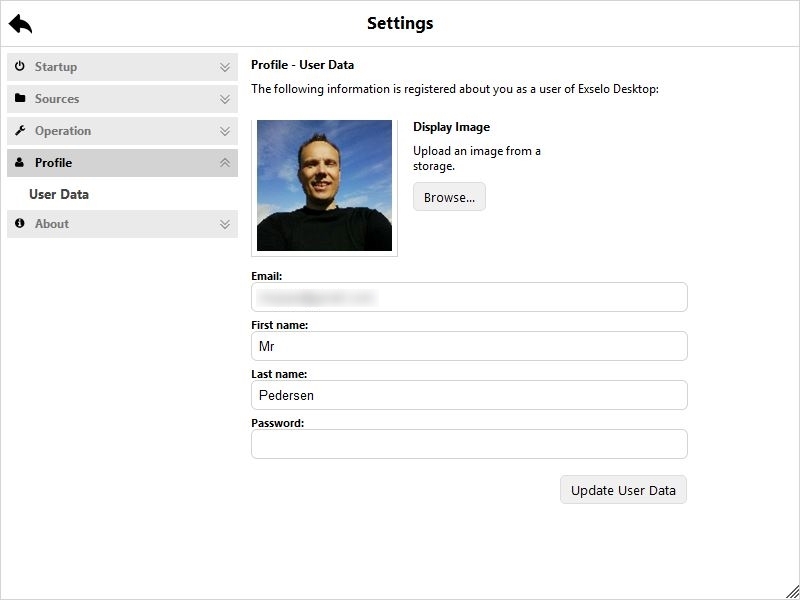 Software deployment, single sign-on, access control and activity logging. 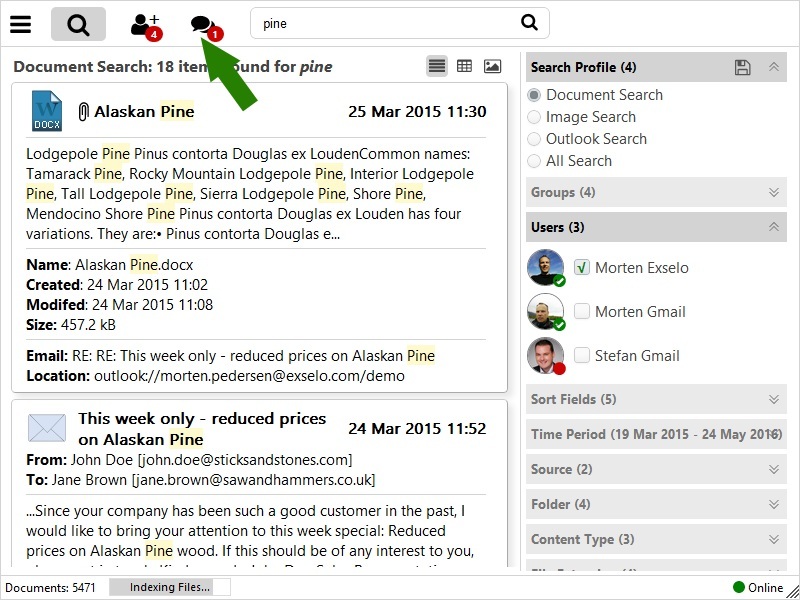 The Exselo Desktop Free License enables powerful search, result refinement, secure peer-to-peer communication and collaboration functionality for an individual user. 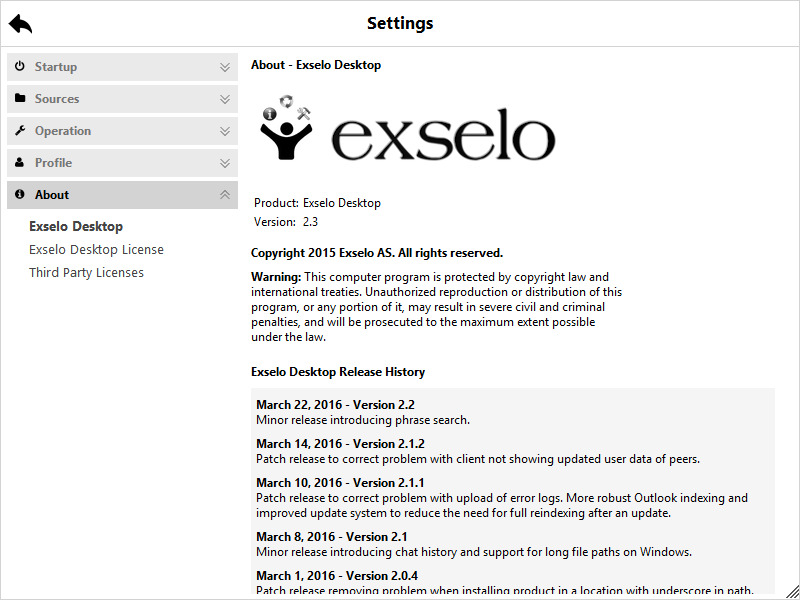 The Exselo Desktop Professional License extends the free license with more functionality and features for an individual user and ensures priority on any support request. 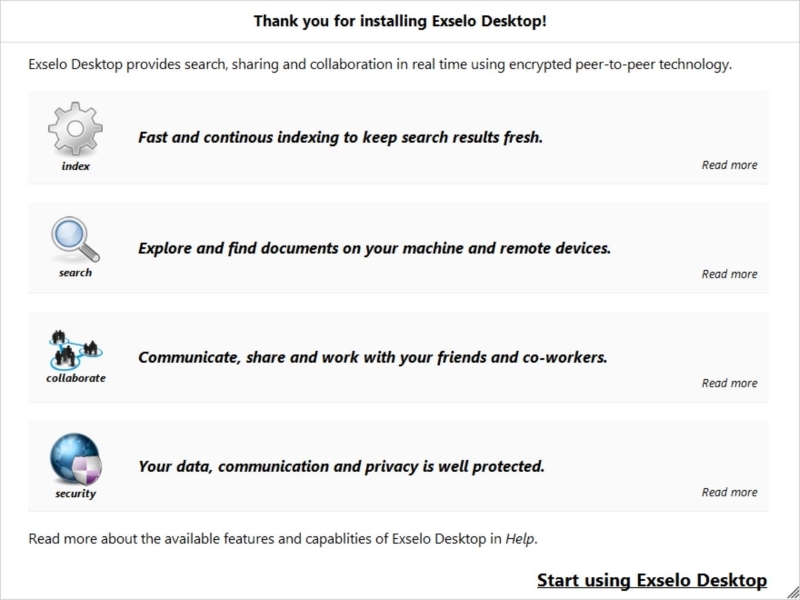 The Exselo Desktop Enterprise License is for organizations where software is managed and controlled by administrators and Exselo Destop is to be used by multiple users. 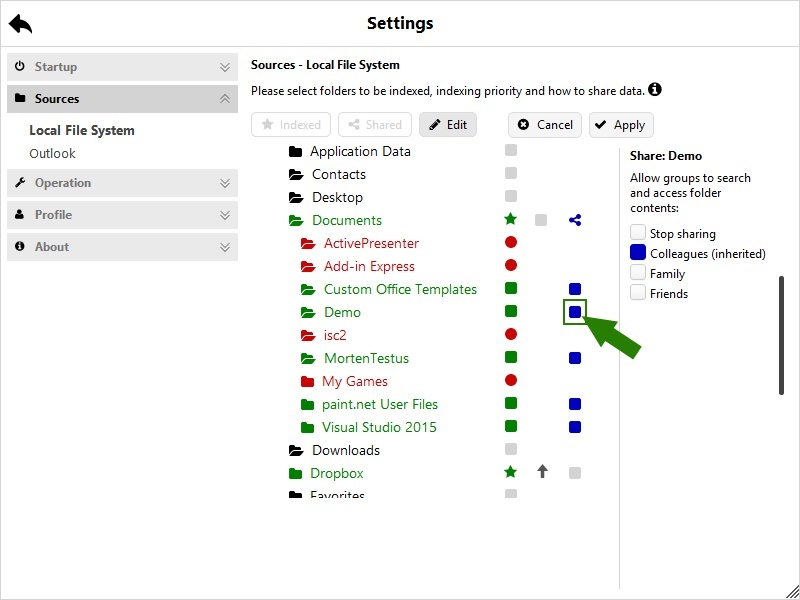 See the feature matrix for differences between the various versions of Exselo Desktop.